SECOND: Daytime, Bay Colt, by Seeking Daylight, out of Maria’s Crown by Maria’s Mon. Breeder and Owner: James H. Falk, Sr.
THIRD: City Minister, Chestnut Colt, by Mr. Executioner, out of Purple Dancer by Citidancer. Breeder and Owner: Rosemary Thomas. 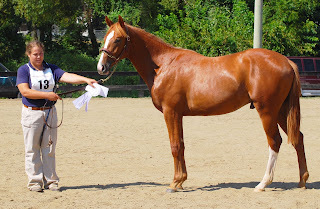 FOURTH: Class Happening,Chestnut Colt, by Hap, out of Class Promise by Class Secret. 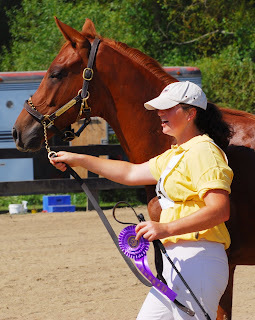 Breeder and Owner: Mede Cahaba Stable & Stud, LLC. 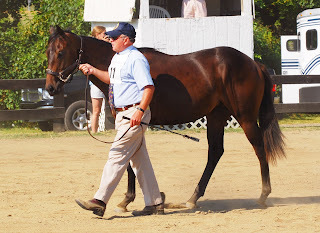 FIFTH: (above) Finneas, Dark Bay/Brown Colt, by Partner’s Hero, out of Cherokee Sunshine by Sunshine Forever. 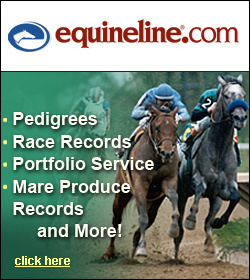 Breeders and Owners: James E. Bryant & Linda P. Davis. SIXTH: (left) Class Indian, Gray/Roan Colt, by Waquoit, out of Class Story by Class Secret. 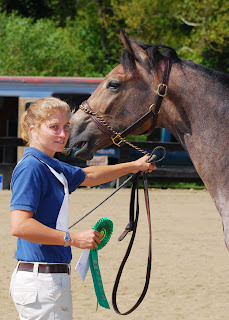 Breeder and Owner: Mede Cahaba Stable & Stud, LLC. 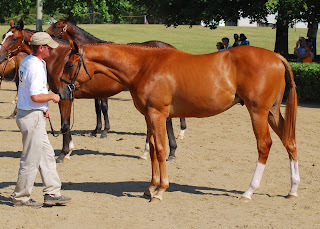 SEVENTH: Monstaleur, Chestnut Colt, by Meadow Monster, out of Taluer by Stalwart. 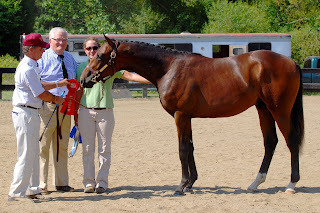 Breeders and Owners: James E. Bryant & Linda P. Davis.